Your piece is amazing, your work is fantastic, I love looking at both pieces of yours , thank you so much for a beautiful piece of art. I will treasure them both forever. Welcome to my shop. 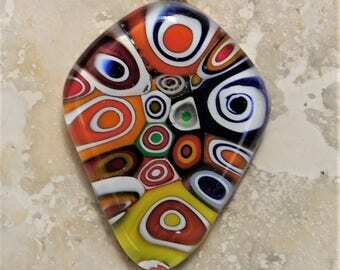 I hope you enjoy browsing my glass art. 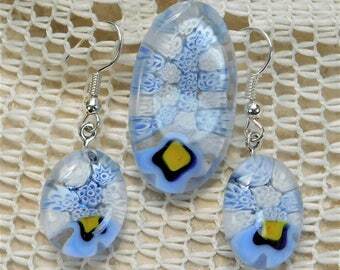 Each of these pieces are handmade by me and is absolutely a one of a kind. 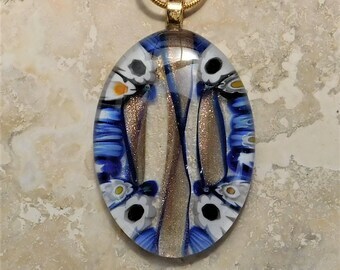 I can sometimes use the same glass and cut pieces the same size, but it is totally up to the magic of the kiln as to how they turn out in the end. Most pieces are fired a minimum of two times. If your purchase is a gift and you'd like it wrapped with paper & a ribbon, send me a message including the occasion and I will gift wrap it for you at no charge. Paypal is the way to go to get what you want. Send me a message if this does not work for you and we will work something out. Taxes will be added to orders shipped to Texas addresses. Upon placing an order, I will almost always ship it out the very next day unless something prevents that. I will send you a message once it is shipped and give you an idea as to when to expect delivery. If you are in the DFW area, you can pick it up and save the postage. Each piece will be well wrapped in bubble wrap and packing paper and boxed in a new corrugated box. Then, that box will be put into another larger and recycled box for shipping. I ship everything through the USPS to save on cost. I will add insurance, but if you want a tracking number, you will have to add a couple extra dollars to the price. INTERNATIONAL shipments ARE possible. What is not possible is for me to know what the cost will be to the hundreds of countries with many different weight/size combinations. So, if you are outside of the US, let me know what you are interested in and where you are. Also let me know if you want insurance and tracking. I will create a custom listing with the postage charge to your country. Special orders are welcome. If you want something created to match your decor or to give as a gift to that special person, send me a message and we can talk about what you'd like. 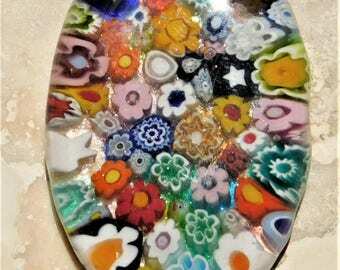 I have about a dozen different molds and have dozens of colors of glass in stock. If I don't have the exact color you want, I can easily obtain it, usually the next day. Let me know what design you'd like - either from my shop or a design you've seen elsewhere. However NO TWO will EVER be the same. 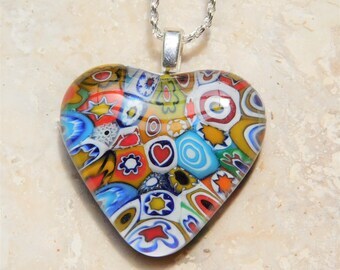 It is not possible to get a 100% match to any piece, even pieces created by me. Please allow two weeks for creation of special orders. Special orders require a 50% down-payment. Once we agree on what I will create for you, I will make a custom listing to cover this down-payment.